We design and build websites and iphone applications. 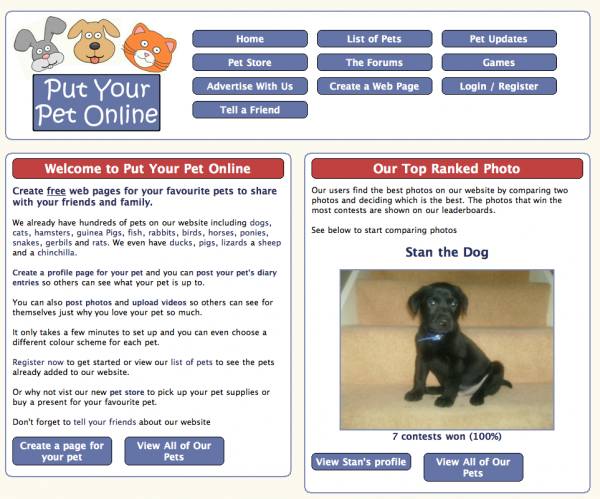 Create free web pages for your favourite pets to share with your friends and family. We already have hundreds of pets on our website including dogs, cats, hamsters, guinea Pigs, fish, rabbits, birds, horses, ponies, snakes, gerbils and rats. We even have ducks, pigs, lizards a sheep and a chinchilla. Create a profile page for your pet and you can post your pet's diary entries so others can see what your pet is up to. You can also post photos and upload videos so others can see for themselves just why you love your pet so much. It only takes a few minutes to set up and you can even choose a different colour scheme for each pet. The traditional tube map provides a very distorted view of where stations actually are in relation to each other. This can often lead to longer journey times or even tube journeys that would be just as quick to walk. The Real London Tube will lead to a much more efficient use of the London Underground. The Real London Tube shows how the tube map looks if it was really drawn to scale whilst maintaining all the detail of Google Maps that you have come to recognise from the maps application. 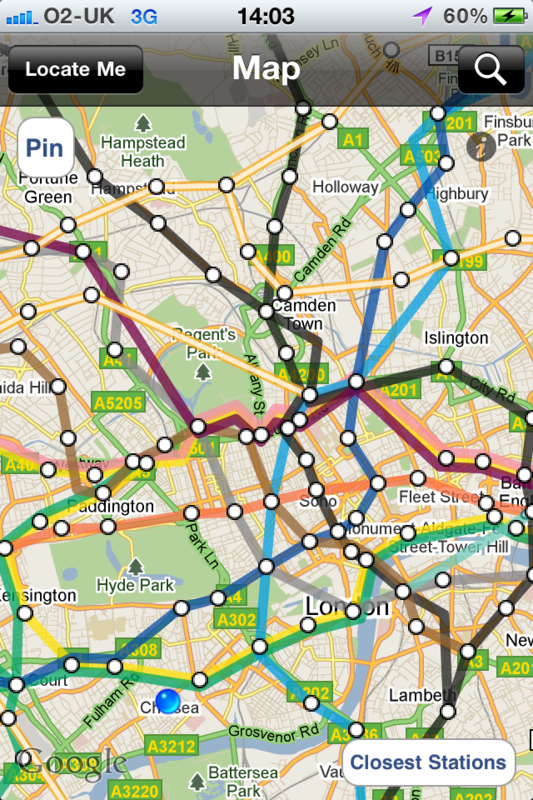 See where you are on the map in relation to tube stations and tube lines. Quickly see the nearest stations and lines to your current location including the distance. Drop a pin on the map to see in advance where the nearest tube stations are to any location. Get driving/walking directions from any location to any tube station. Highlight stations to help you plan your journey. Go ahead and enjoy a more efficient use of the London Underground. The conventional tube map suggests that Notting Hill Gate is the nearest central line tube station to Paddington. In fact Lancaster gate is only 0.28 miles from Paddington compared with Notting Hill which is 1 mile away. The conventional tube map shows Wimbledon and South Wimbledon stations in very separate areas whereas in reality they are less than a mile apart. The conventional map suggests that Mansion House and Barbican are far apart on opposite sides of the circle line. They are in fact only 0.6 miles apart. Not much more than 10 minutes walk. Viewing your current location requires GPS. Loading the map underneath the tube lines requires an internet connection. This isn't actually required to view the tube lines, it just makes it look better. You can always pre-cache the maps if you expect to be without an internet connection while using the app.